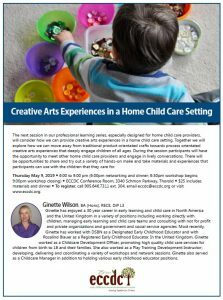 The next session in our professional learning series, especially designed for home child care providers, will consider how we can provide creative arts experiences in a home child care setting. Together we will explore how we can move away from traditional product orientated crafts towards process orientated creative arts experiences that deeply engage children of all ages. During the session participants will have the opportunity to meet other home child care providers and engage in lively conversations. 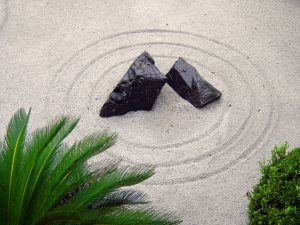 There will be opportunities to share and try out a variety of materials and experiences that participants can use with the children that they care for. Cost includes materials and nutrition break.